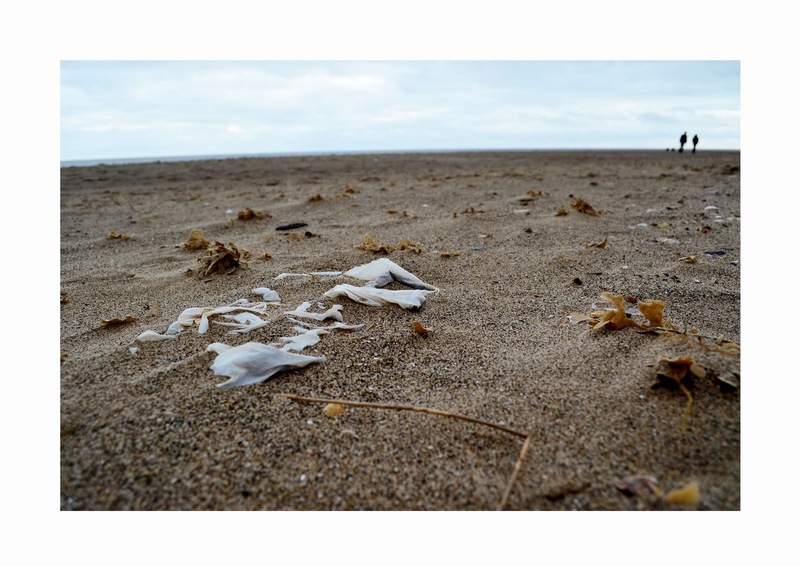 My second studio project of the year is based on litter and the health of beaches. 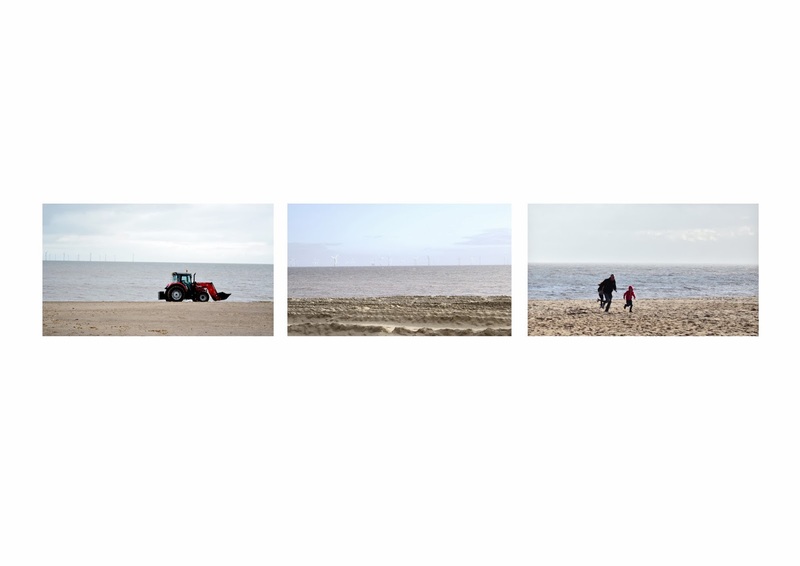 The Lincolnshire coastline, known for its pristine beaches and clean water has a dark side of neglect during the 'off-season' period, and on my site visit over the weekend, discovered a wide range of strange artifacts which became the basis for this short photography project as a starting point for the project narrative. 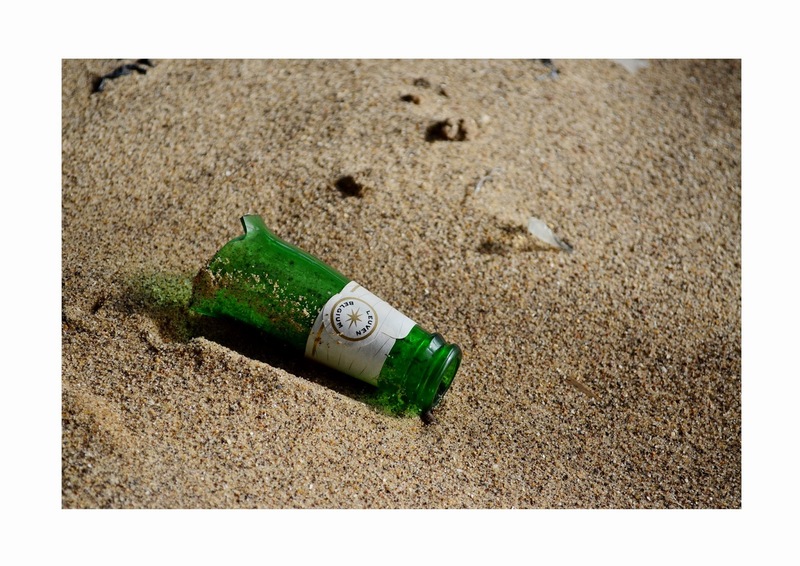 Each object, item or product only becomes litter when it is 'discarded'. 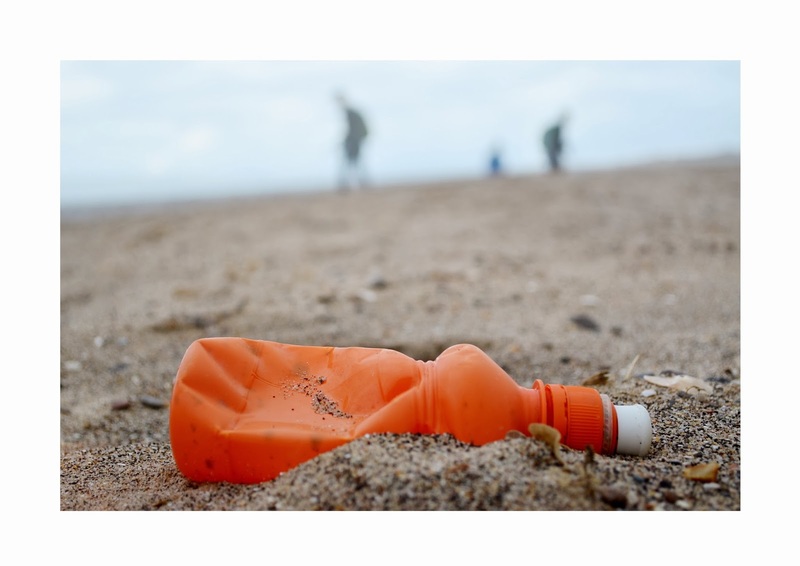 It is produced, bought, consumed and then discarded. 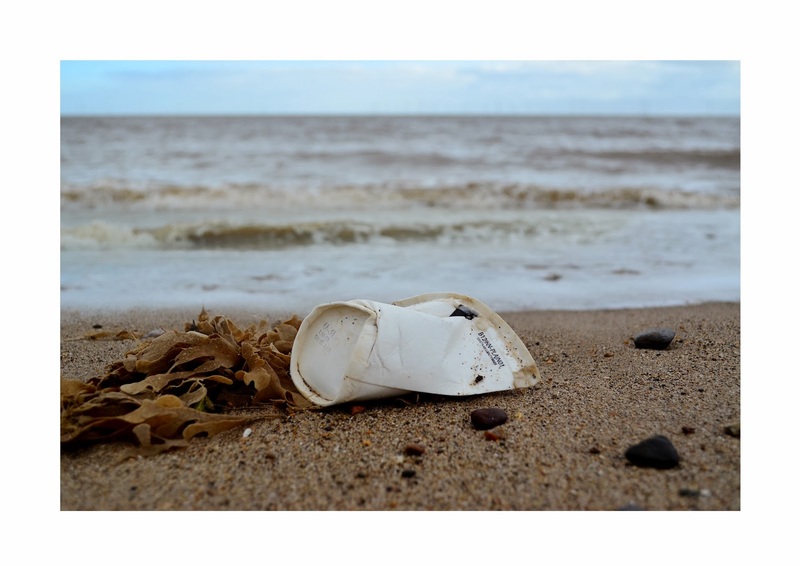 Items lose their meaning and purpose, grouped into this conglomerate of unwantedness- Litter. Junk. Trash. 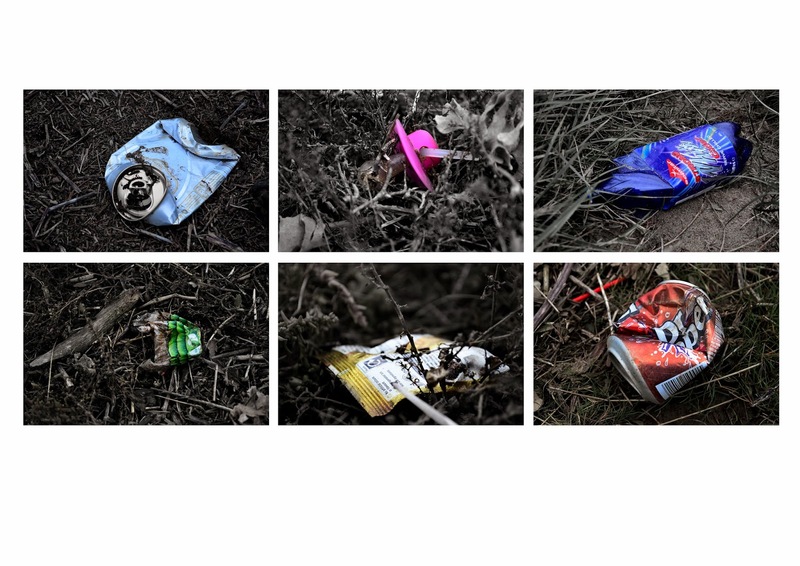 This set of photos places the lost object as the focus and aims to give it a sense of life, meaning or story and ultimately challenge us to think of what happens to our litter? 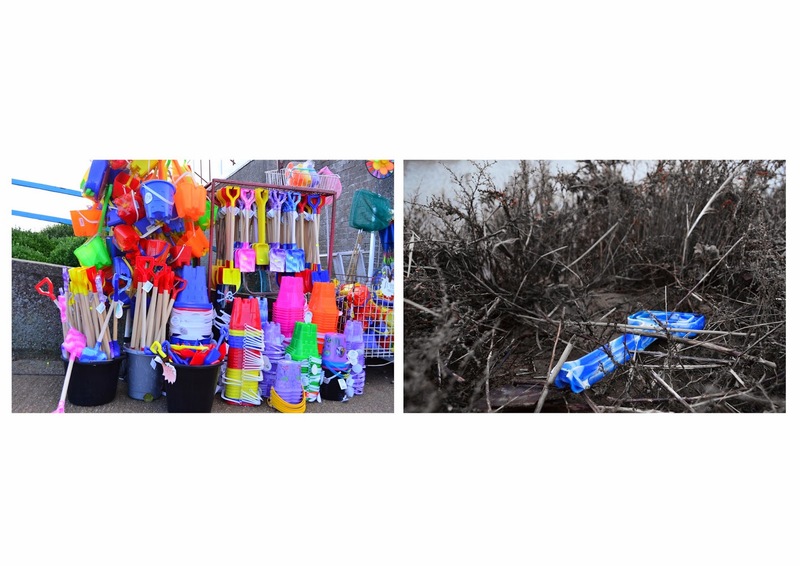 A collection of eclectic items found on the beach and further in land on the grassland- the vibrantly coloured objects are alien to the natural terrain, but are gradually engulfed by the sand, branches, grass... intertwined and merging into an uncomfortable coexistence. 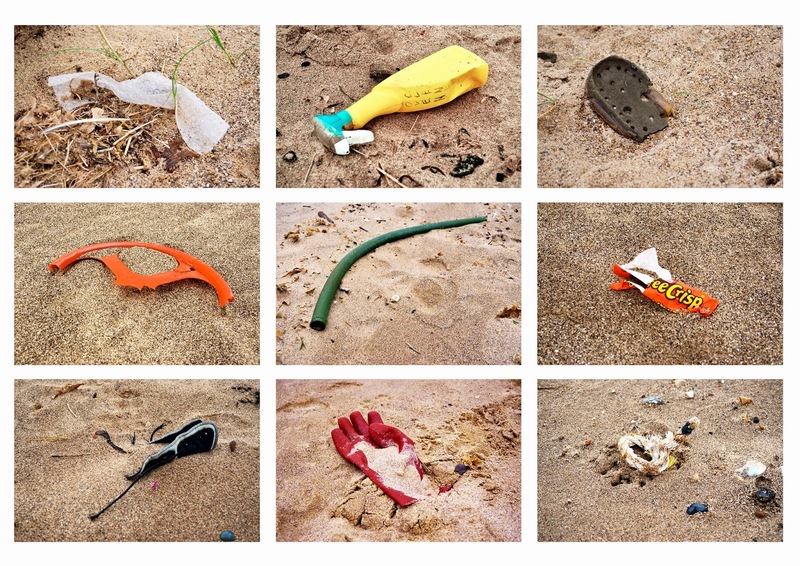 The life and death of a plastic spade. 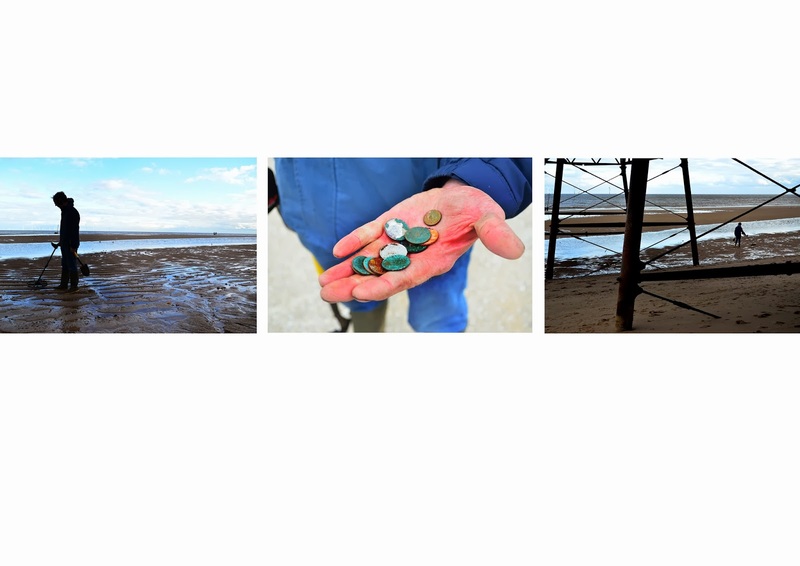 Stan hunts for Victorian coins every other day on Skegness beach. With his metal detector and spade, he surveys the beach for several hours depending on the tide. Buried and lost for decades, coins from tourists visiting the beach during the period when beach holidays were a booming industry due to the motorway access is now found and collected.